The purpose of sales performance management tools is to monitor sales progress to determine and recognize success, or proactively respond to processes and employees that need to improve. They offer data through scorecards for both individuals and teams, providing transparent information on progress and potential failures. Many tools increase visibility with public dashboards and leaderboards that can reward top-selling team members while inspiring others. Administrators can set up sales contests to challenge friendly competition among team members. Leaders can use the metrics provided to determine what should be discussed during coaching sessions. The tool can also help with onboarding, making successful processes accessible and visible to new team members. Many sales performance management products integrate with CRM software. Sales Performance Management reviews by real, verified users. Find unbiased ratings on user satisfaction, features, and price based on the most reviews available anywhere. The information shared via telephone conversations with clients and prospects is one of the most valuable assets that a company can leverage. To accommodate the growing need for sales team visibility, Gryphon developed a Sales and Marketing Effectiveness System, which provides sales managers actionable insights into the phone-based activities of reps from any phone, anywhere through a single pane of glass. Merced Performance Suite is an advanced frontline performance management application designed to turn sales operations and service operations into higher performing, data-driven organizations. By integrating data from disparate sources, providing personalized dashboards to every employee, and, delivering advanced reports and frontline analytics throughout the organization, Merced Performance Suite increases accountability and employee self-correction on critical KPIs. Merced Performance Suite also automates critical managerial activities, including employee coaching, recognition, and performance improvement to allow front-line managers to become more effective and efficient and have more time and better information with which to develop their teams. As a result, customer-facing operations are able to substantially improve productivity, boost revenue and increase customer satisfaction. 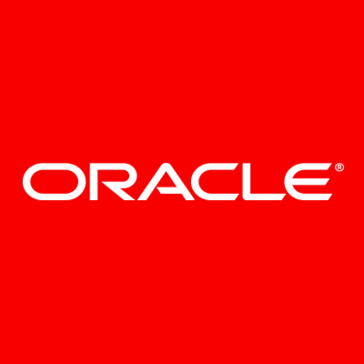 Oracle's SPM solution addresses real-world sales performance challenges by enabling companies to manage performance, motivate behaviors, and mentor the best practices of the sales organization. LevelEleven is the leading Performance Management System for customer-facing teams to motivate, engage, and coach around key behaviors that drive results. Reps understand goals and activity. Managers coach with consistency using actionable data. Executives understand what's working, or not working. Motivate what matters with LevelEleven. Ambition is a sales management system backed by Google, Harvard Business Review and AA-ISP. The Ambition platform syncs data from your key systems (Salesforce, New Voice Media) onto a drag-and-drop UI that empowers managers to create flexible performance visualizations and insights across their entire sales organization. Sales leaders use Ambition to bring transparency, ownership and insight to sales performance metrics. The platform integrates all key data points from your CRM, phone system, and other major data systems under one roof. Using drag-and-drop interfaces, sales leaders can build sales performance analytics that suit the specific needs of their sales organization - complete with benchmarks, scores, goal trackers, TVs, leaderboards, competitions, coaching modules, and flexible on-command reporting into activities, objectives, and efficiency metrics. Hoopla’s motivational software combines modern game mechanics, data analytics and broadcast-quality video in a powerfully simple application that makes it easy for managers to motivate team performance and score more wins. Using Hoopla, managers can quickly create contests, competitions, and leaderboards around any CRM metric, and broadcast live performance updates to TV, web and mobile screens throughout the company. Hoopla’s dynamic, live video broadcasts engage the entire company in an exciting, play-to-win culture that delivers measurable gains in team productivity and performance. Xactly Corporation is is a leading provider of enterprise-class, cloud-based, incentive compensation solutions for employee and sales performance management. The company’s flagship product, Xactly Incent™, gives enterprise companies robust features and capabilities to successfully design, implement, and manage their compensation programs. With powerful functionality and an extensive module suite, Xactly Incent lets organizations increase ROI with optimized plans, improved efficiencies, and greater accuracy. Xactly Incent’s intelligent automation lets organizations apply best practices to incentive compensation plans, while speeding routine processes to save time, reduce errors, and lower shadow accounting. With a powerful calculations engine, Xactly Incent manages the most complex formulas with flexibility and ease. Xactly Incent increases system efficiencies with integration of compensation data with existing ERP, CRM, or HCM solutions. Xactly Incent provides fully native Android and iOS support, giving reps instant access into their commission results from any mobile device. Managers can easily view individual and team performance quota – anytime, anywhere. CallidusCloud’s Sales Performance Manager (SPM) streamlines sales coaching, making it easy and effective by delivering visibility and transparency across the sales organization with up-to-date dashboards, reporting, and analytics. It acts as your system of record for up-to-date sales performance data, capturing both qualitative and quantitative metrics. With SPM, sales leaders can reinforce sales methodologies and coach sales managers. Sales managers can create, record, and track field coaching reports, and sales reps get objectives and action items to improve their performance. Altify is the Customer Revenue Optimization company - Customer Revenue Optimization (CRO) helps sales teams win the opportunities that matter, grow revenue in their key accounts and improve sales execution by aligning the extended revenue team. Built natively on the Salesforce platform, Altify’s CRO applications help thousands of salespeople, sales leaders and executives achieve sustained customer revenue optimization and sales success. CallidusCloud’s MySalesGame serves up dynamic leaderboards, rewards, missions, and contests to drive recognition, competition, and mastery across your entire sales organization. This game-changing application connects to complementary CallidusCloud products to encourage more coaching sessions, faster quotes, bigger deals, and higher learning. IBM Sales Performance Management (SPM) provides tools and information for your sales reps - ensuring accuracy and efficiency. Managers and administrators can take control of their operations, eliminate surprises and make better strategic choices for their variable incentive programs . Do more with Incentive Compensation Management: Improve the efficiency and effectiveness of your sales teams with a tool that lets you manage territory definitions, assignments, and rules; plan, approve and distribute attainable sales quotas; and use dashboards to monitor key performance indicators. Territories and Quotas: Your ability to define and manage territories and crediting by multiple sales criteria starts here. Our flexible and collaborative workflow processes for territory and quota management allow you to align territories and incentive compensation to motivate sales; use a single source of truth for territory masters and hierarchies; and increase top line revenue and sales margins. Analytics and Optimization for SPM: Compensation management and sales coverage models need to evolve as market conditions and business requirements change. IBM Sales Performance Management provides the analytical tools that allow you to make better strategic choices through scenario modeling, reporting and analytics, and data visualizations. Increase sales by motivating more winning behaviours. Use intelligent coaching prompts to guide your reps. Engage your team with game mechanics that include competitions, levels, badges, rewards & leaderboards. ***SuMo is 100% Native & Lightning Ready*** COACH: Maximise the potential of your team with guided selling & targeted sales coaching. PREDICT: Boost forecast accuracy with automatic deal predictions based on behavioural insight. OPTIMISE: Fine tune your sales process based on winning behaviours exhibited by top performers. SuMo increases sales by uncovering your winning formula and motivating more high-value sales behaviours. 100% Native to Force.com and fast to get started, SuMo delivers results: LeasePlan experienced * 583% improvement in contact scouting * 454% increase in Chatter collaboration * 153% increase in sales activity G4S experienced * 60% increase in pipeline * 35% increase in new contacts * 98% user adoption rate SuMo delivers measurable results * Run SuMo in the background to baseline current sales activity levels * Identify the "winning way" based on your top performers * Deliver intelligent coaching prompts as users work * Engage reps with gamification that tap into the competitive spirit Broadcast achievement onto the big screen with multi-channel, interactive leaderboard displays similar to LevelEleven, Hoopla and Ambition. Anaplan is the leader in Connected Planning. Our purpose-built software—powered by our patented Hyperblock engine—enables dynamic, collaborative, and intelligent planning. Large and fast-growing companies worldwide use our solutions to connect the people and data required for trusted plans and accelerated decisions essential to leading in their markets. Based in San Francisco, we are a privately-held growth company with 20 offices, 175 expert partners, and more than 850 customers worldwide. To learn more, visit anaplan.com. RingDNA is the leading end-to-end sales engagement platform that combines enterprise-grade telephony with conversation intelligence for teams using Salesforce. RingDNA helps teams engage with prospects and customers in the right way, at the right time, with the right context. Sales, support, and customer success teams use ringDNA to dramatically increase productivity, engage in smarter conversations, gain predictive insights, and coach reps to success faster than ever before. RingDNA’s many amazing customers include Hewlett Packard Enterprise, Twilio, and SAP Concur. Our mission is to help build great sales organizations all around the world by making sales fun, engaging, exciting and rewarding. SalesScreen is a sales motivation software that helps organizations around the world to track progress on KPIs, reward completion of key activities and surpass their sales goals. Customers experience stronger sales culture, lower turnover, better awareness on goals and increased activity on the metrics that drive revenue growth and success. We believe that great culture is the key to driving great performance and that recognition and celebrations build great culture. So, we have created an entire sales management toolbox that allows you to recognize achievements, run sales contests, measure performance, track improvements and focus on what matters most. SalesScreen combines data visualization and reporting features with gamification in order to increase activity and performance on the metrics that matter most to revenue growth and success, in a fun and engaging way. It’s similar to the sales bell and whiteboard, but adapted for the 21st century, allowing you to celebrate in real-time, across offices and integrate with your favorite software systems to make data entry more fun. As a cloud-based system, SalesScreen connects all of your offices and makes feedback and celebrations instant. Key features: -	Social chat feature to build collaboration with colleagues. -	Data visualization that is fully customizable, beautifully designed and easy to understand. -	Tons of TV slides to display and showcase your most important information and updates. -	Real-time sales competitions: team, individual, or head-to-head mode. With varying goals, prizes and ways of winning. Not all just traditional linear, “winner takes all” competitions. -	Hundreds of fully customizable rank levels and badges to unlock for completing qualifying activities that you determine. -	Milestone event celebrations recognize reps for crushing goals. -	Supported on web, mobile app and TV. -	Live chat feature via Intercom to quickly solve problems anytime you need support. Unleash the Power of Professional Conversations. Truly is the all-in-one enterprise voice platform bringing rep productivity, global telephony, and realtime conversation intelligence together with one tool. Organizations use Truly to clean up their voice stack. Get more conversations and cleaner data for your team while saving on cost. As the only inbound and outbound voice solution, Sales and IT leaders alike love using Truly. Truly works everywhere, captures all your call data, and maximizes conversation quality with minimal support required. Sharper sales execution with data-driven sale enablement. Accelerate gives reps the tools and insight they need for strong sales enablement. Intelligent opportunity scoring and visualization, dynamic recommendations based on the sales situation, real time tracking, analytics and insight into buyer interests all combine to give enterprise B2B sales teams a scientific approach to strategically improving sales and accelerating win rates. Hurrah!® Leaderboards is a productivity tool that blends gamification and live broadcasting to boost team motivation and outcomes, by recognizing outstanding work in real time across the department floor on one or more TV screens and web browsers. Its capacity to connect to multiple data-sources (including Dynamics CRM, SalesForce, Excel and other call center systems in the market) to pull team performance metrics as well as its flexibility to build completely custom metrics makes Hurrah! indispensable for some of the strongest sales-driven organizations such as Amway, Cleveland Cavaliers, New York Mets, and Paylocity. With Hurrah!, you can grow revenue, track KPIs, encourage a healthy, competitive atmosphere, and share important milestones with your team instantly, and encourage other behaviors that drive sales. Optymyze helps companies increase sales and channel performance with enterprise cloud applications for executing sales and channel strategies; driving desired selling behaviors; enabling people to produce better results; and analyzing and improving performance with insightful business intelligence. People.ai is the AI platform for data-driven sales and marketing. We give sales leaders a complete picture of sales activities and leverage AI to help them manage their teams based on hard data, rather than assumptions. Marketing teams gain visibility into how their leads move through the funnel after being passed to sales, allowing them to attribute sales activity to the right leads, campaigns, and opportunities. With AI, People.ai is finally bridging the gap between sales and marketing. People.ai is headquartered in San Francisco, CA and is backed by Y Combinator and Silicon Valley’s top investors, including Lightspeed, Shasta Ventures and Index Ventures. Customers include Lyft, Gainsight, and SalesLoft. Xvoyant is a sales coaching technology platform, built native in Salesforce, that helps prioritize, optimize and dollarize coaching. It changes behavior by rapidly identifying and prioritizing each rep’s areas for improvement and measuring performance, activities and coachability to predict forecast viability and rep engagement. Xvoyant is the first platform to link activity execution and skill development to pipeline sustainability and forecast accuracy. Xvoyant optimizes coaching execution by providing one, consistent platform to plan, schedule, document and track coaching sessions and goals. Xvoyant syncs with Salesforce calendaring, routing and notification functionality to provide an integrated, closed-loop workflow. DialSource is an enterprise sales acceleration engine and voice communications platform. Sales and service teams use DialSource to dramatically increase productivity, engage in smarter sales conversations, gain predictive insights and coach reps to success faster than ever before. The company's powerful and easy-to-use native application is consistently cited as the top solution for teams using Salesforce or Microsoft Dynamics CRM. Our native architecture preserves data integrity across the cloud, never storing credentials or extracting sensitive information out of Salesforce or Microsoft's secure ecosystems. We are an engineering firm at our core. We build technology solutions that unlock intelligence, boost efficiency, maintain security across CRM and humanize the customer experience. We are problem-solvers, focused on building software & telephony capabilities that improve enterprise communications and accelerate sales. Intelliverse's Sales Acceleration software dramatically increases sales results by delivering speed, accountability, efficiency and predictability to the sales process. By using data-driven insights & real-time analytics, Intelliverse’s sales acceleration technology empowers salespeople to sell smarter and faster— ultimately driving high performance sales teams that accelerate sales and grow revenue. PROLIFIQ CRUSH is a native Salesforce account planning tool for sales managers that is part of the #1 native Salesforce sales enablement suite. CRUSH keeps sales teams focused on increasing sales by aligning them around objectives, activities tasks defined in their sales plan - all within Salesforce. + Increase Salesforce adoption by bringing account plans inside Salesforce. + Champion accountability to align with sales plan objectives to win larger deals in less time. + Create key account plans in Salesforce using flexible account planning templates tailored for your unique account plans and sales processes. + Get a snapshot of all opportunities related to an account plan to see progress against sales goals. + Analyze the white space in an account to help identify, prioritize and focus your opportunity planning efforts. + Simplify sales management by laying out team-selling tasks specific to the account plan objectives so everyone knows what they need to contribute to help you win. + Visualize stakeholder hierarchy and influence among key contacts within key accounts to understand which stakeholders will help to close deals. Breakdown silos with CRUSH and win more deals, bigger deals, in less time. Click the "Request A Demo" button to start your free trial today. SPOTIO is the #1 field sales platform designed specifically for sales managers and reps to squeeze every drop out of their field sales efforts. Whether selling door-to-door or business-to-business, SPOTIO provides an end-to-end solution to enable insane productivity, increased sales, and shortened sales cycles. Incentive compensation is the key to driving your company to new heights – but to succeed you need to change the way you look at this critical investment. Xactly Insights™ is the industry’s only incentive performance intelligence software leveraging over 12 years of aggregated pay and performance data to improve compensation spend ROI. Using Xactly Insights, companies can proactively monitor their incentive compensation program and make informed business decisions by comparing their performance against peer groups across 28 different metrics. With monthly data updates, companies gain awareness of market changes and ensure that their incentive program is competitively structured to retain top performers and achieve corporate goals. beqom provides a Total Compensation cloud solution that addresses all aspects of compensation and performance for both Sales & HR. The beqom platform allows business managers to lead, align and motivate their employees. beqom focuses exclusively on managing compensation for large enterprises who cannot afford to compromise on their compensation strategy. This exclusive focus on compensation enables beqom to address the needs of global industry leaders. As a result, companies like Microsoft, Vodafone and CNHi have selected beqom to manage their compensation and performance processes...making their people happy. Active Community™ is the gamification app built on Salesforce for Salesforce, internally as well as externally such as Salesforce Communities. HubSpot is a leading growth platform. Since 2006, HubSpot has been on a mission to make the world more inbound. Today, over 52,000 total customers in more than 100 countries use HubSpot’s award-winning software, services, and support to transform the way they attract, engage, and delight customers. Comprised of Marketing Hub, Sales Hub, Service Hub, and a powerful free CRM, HubSpot gives companies the tools they need to Grow Better. HubSpot Sales Hub gives you a full suite of tools to boost your productivity, shorten deal cycles, and make your sales process more human-friendly — without adding to your workload. LiveHive’s single, unified sales acceleration platform delivers advanced automation and deep buyer-based engagement analytics to give sales reps insights to advance sales opportunities and arm sales managers with visibility into team behavior, processes, and opportunities at every stage of the sales cycle. Using LiveHive’s sales acceleration platform, businesses are tripling sales rep productivity, increasing conversion rates by 36% and speeding quality connects up to 4x to lower their cost of sale and generate higher growth for the business. Membrain is the award-winning Sales Enablement CRM that makes it easier for sales teams to execute their process, coach better and continually improve. It helps drive the behaviors needed in complex B2B sales to increase sales effectiveness and achieve consistent performance. Membrain can replace or complement traditional CRM systems. Trusted by clients in over 60 countries, a two-time Top Sales CRM winner, a Top Sales Tool for five years straight and named the Top Sales Enablement Technology in 2016 & 2017. Membrain is the only software named as a G2 Crowd High Performer in each of the CRM, Sales Performance Management, Sales Coaching and Sales Enablement categories. Hi there! Can I help you find the best Sales Performance Management solutions?